Nearly 10,000 migrants were rescued off the coasts of Italy and Libya this week, as the leaders of G7 gathered for a summit coincidentally held in Sicily. And at least 54 people have drowned in the Mediterranean since Tuesday. Large-scale rescue efforts off the Italian coast on Friday saved 2,200 migrants who risked their lives traveling in unworthy sea vessels to reach Italy. Italian coastguard and commercial boats delivered those rescued to reception centers in Italy. 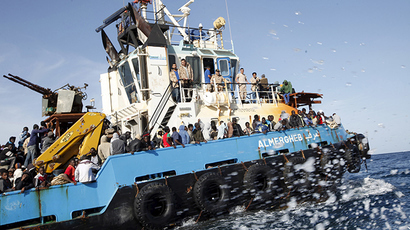 A further 1,200 people were rescued by Libyan ships and taken to Tripoli or Zawiya. Some 6,400 migrants were rescued from the Mediterranean between Tuesday and Thursday. The Italian coastguard also discovered another 10 bodies, bringing to 54 the total number of officially registered deaths this week, officials told AFP. The biggest tragedy occurred on Wednesday, when 35 migrants drowned, including at least 10 children, after they fell off an overloaded vessel that was hit by a huge wave while being rescued by an aid boat. 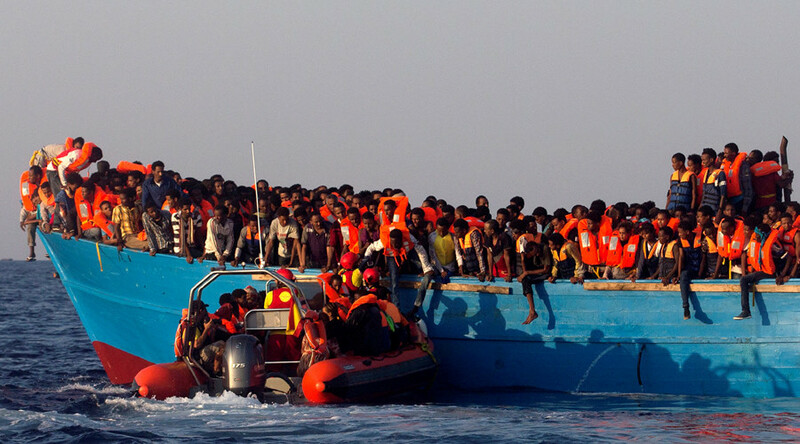 At least 1,400 people have drowned so far this year trying to make the perilous journey across the sea to Italy, according to UN figures, while more than 50,000 migrants reached Italian coasts, most of them through Libya. Italy has on numerous occasions said that it barely has enough resources to deal with the migrant influx from Libya. The situation has become an EU-wide concern in recent years, with Brussels facing mounting pressure from human rights groups over its handling of the migrant crisis in the Mediterranean. G7 leaders, who met in Sicily, discussed providing greater assistance to African countries to persuade migrants to stay at home rather than make the dangerous journey across the Mediterranean. Leaders of the Group of Seven also met with several African heads of state and governments on Saturday to discuss issues of migration and economic development. The leaders of Kenya, Ethiopia, Nigeria, Niger and Tunisia were invited to join the talks, in addition to six regional African organizations.